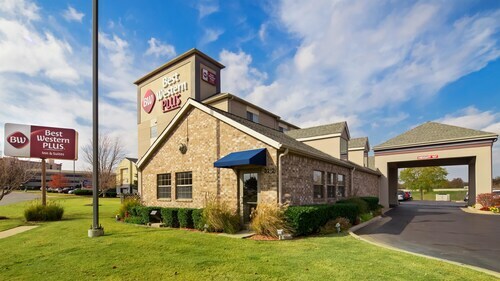 Located in South Tulsa, this spa resort is within 1 mi (2 km) of Mabee Center, River Spirit Casino, and Oral Roberts University. Prayer Tower and Sherwin Miller Museum of Jewish Art are also within 2 mi (3 km). Situated in Catoosa, this golf resort is within 3 mi (5 km) of Hard Rock Casino Tulsa, D.W. Correll Museum, and Catoosa's Historical Museum. Cherokee Nation Welcome Center Tulsa and The Blue Whale are also within 3 mi (5 km). 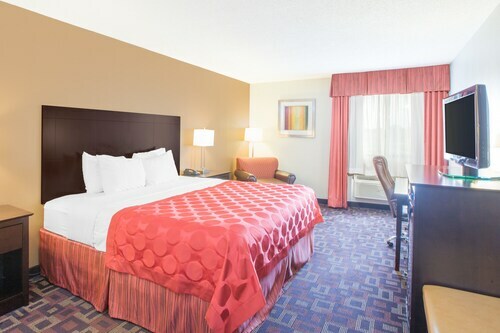 Located in the heart of Tulsa, this hotel is 0.8 mi (1.3 km) from Tusla Promenade and 2.7 mi (4.3 km) from Tulsa Expo Center. Oklahoma University - Tulsa and Southroads Mall are also within 1 mi (2 km). 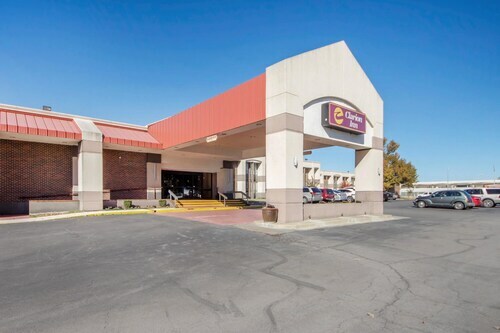 Situated in Tulsa, this hotel is within 2 mi (3 km) of Hard Rock Casino Tulsa, D.W. Correll Museum, and Cherokee Nation Welcome Center Tulsa. Catoosa's Historical Museum and Port City Raceway are also within 3 mi (5 km). 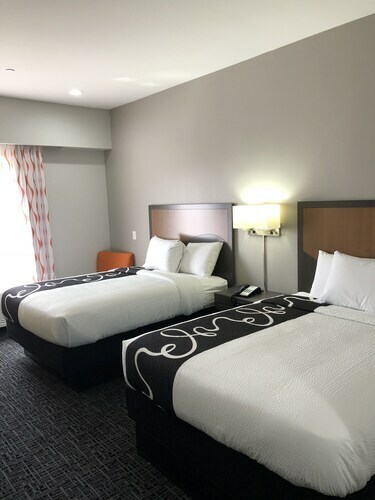 Located in South Tulsa, this hotel is 0.2 mi (0.3 km) from Oklahoma Wesleyan University and within 3 mi (5 km) of All Star Sports Complex and Cowan Park. Tulsa Expo Center and Woodland Hills Mall are also within 6 mi (10 km). 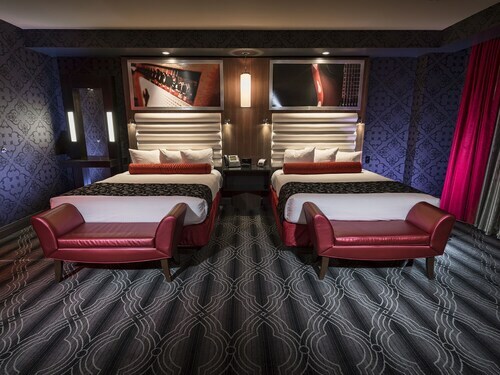 How Much is a Hotel Room in Tulsa? 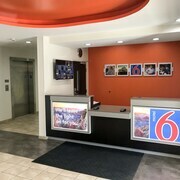 Hotels in Tulsa start at $68 per night. Prices and availability subject to change. Additional terms may apply. The second largest city in Oklahoma, Tulsa is a great place to visit on a vacation. 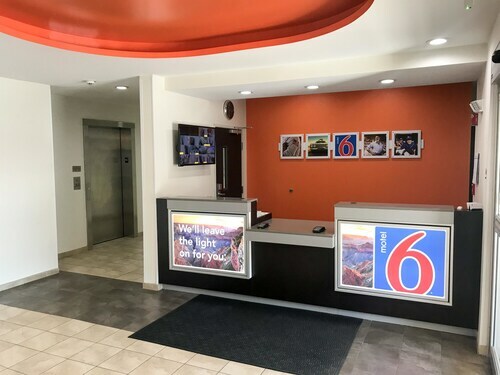 The downtown area of the city is full of historic architecture and many of the foremost hotels in Tulsa are located in this neighborhood, affording a high-quality and memorable experience. Visitors will enjoy the Art Deco style of Tulsa's buildings as well as the many things to do and see in the city. Tulsa is located in the center of the country making it easy for travelers from all over the US to get to, and its international airport boasts over 60 departures a day with an excess of three million travelers passing through its doors each year. 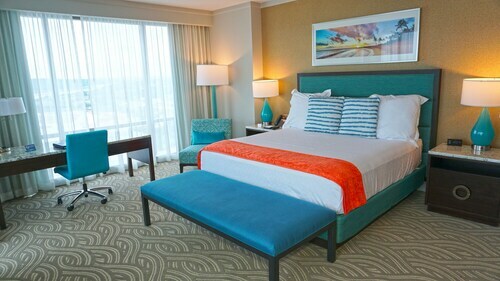 Travelocity offers deals on a range of hotel options from cheap hotels in Tulsa to more luxurious, higher end options. 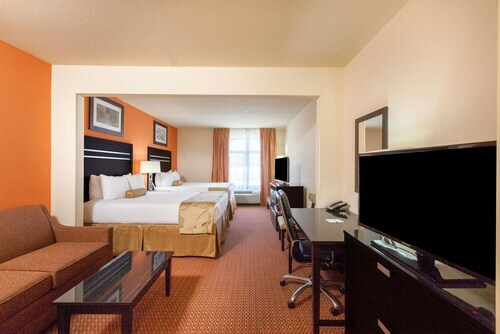 Anything from small boutique B&Bs to larger hotels with suites are available. 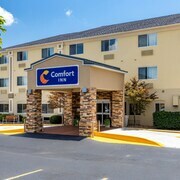 If you happen to be looking for a convention space or a good location for a business meeting, many hotels with a conference center in Tulsa are also available. 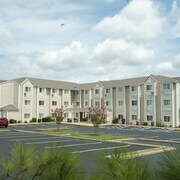 Remember that some of the best hotels in Tulsa, near the airport for example, will also be easy to access. There are plenty that are located in the midtown area and around Catoosa to the north, as well as the more central locations near the Expo Square. Tulsa's famous Oktoberfest is held each fall and is a great time of year to visit the city. Year round attractions include the city's zoo and the Performing Arts Center. There are also a number of hotels near Big Splash Water Park, the city's premier attraction for families, which is open every summer and has water rides everyone in your family can enjoy. Thinking of heading to Tulsa? At Travelocity, we have all the booking know how to make sure your trip is a success. We had a great stay. Great modern styling. Nice bar and grille. Hair salon for those inclined. 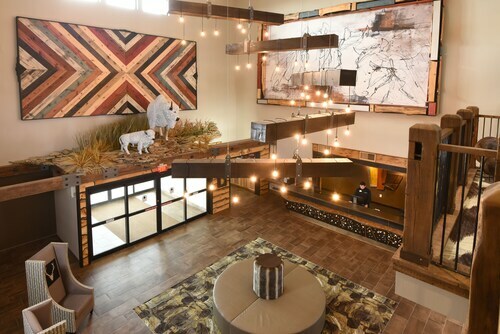 Much better than your average place to stay. It was very aesthetically appealing, and everything was very convenient. I will say that the room wouldn’t cool down and the water took forever to get warm in the shower. Loved the decor fixtures. Room was beautiful clean and wonderfully decorated. Comfy bed great shower. Wonderful breakfast! I thought the 3.50 charge for cleaning was strange and I don’t remember seeing it on the hotel miscellaneous charges. 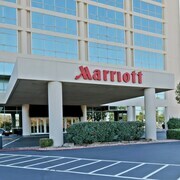 We asked to check in early and he told me I could for 10.00 but then told me I couldn’t because the room wasn’t clean. Once again, not complaining but strange. The breakfast was below average compared to other hotels, but wasn’t an issue considering the price. Overall, I was very satisfied. The day staff was ok, but the lady who was there at night was very caring and helpful. She went out of her way to help us. 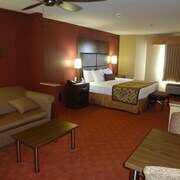 The hotel smelled great upon entering and everything was modern and clean. Overall, I would stay there again in a heart beat.